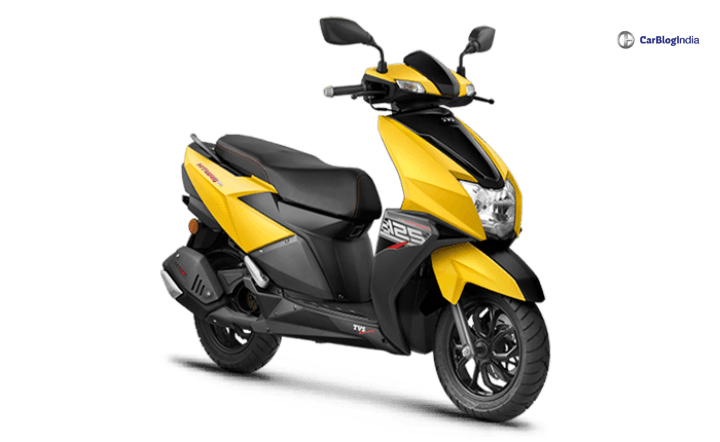 TVS Ntorq has again passed the Honda Grazia for total sales in the month of August 2018. The TVS scooter comes with many segment first technology features. None of the other scooters in India come with some of Ntorq’s features. We have the sales report of all the two-wheelers for August 2018. From that, we get to know that again, TVS Ntorq (Read More) has achieved a higher sales figure than the Grazia for the month. It is hard to believe that someone is actually giving a tough time to a Honda product. We believe that its high-performance figures and next-level technology equipment are helping the Ntorq is achieving great sales figures. The Ntorq is priced at Rs 59,712 (ex-showroom New Delhi). It takes on the likes of Honda Grazia, Suzuki Burgman Street and Aprilia SR 125. TVS Ntorq has achieved a sales figure of 18,024 in August compared to Grazia’s sale of 15,375 units. Ntorq was launched last year and it already is a hot seller for TVS. Last month, Ntorq achieved a similar sales figure of 18,272 units. However, it slipped from 7th position in July to 8th rank in August. Looks like the demand for Hero Duet has suddenly spiked, as it jumped from 9th position to 6th rank. The Honda Grazia (Read More) in July was just below the Ntorq at 8th position with 17,147 sales unit. In August, between both the scooters, comes the Hero Pleasure. The TVS Ntorq comes with a 124.6cc air-cooled engine that produces 9.3 BHP of power and 10.5 Nm of peak torque. It is one of the quickest accelerating scooters in its segment. The mileage expected on the Ntorq is around 45 kmpl. It gets a fuel tank capacity of 5 litres and a total riding range of more than 200 kms. Features onboard the TVS Ntorq include TVS SmartXonnect fully digital speedometer paired with a mobile app. It boasts of 55 features including navigation assist, top speed recorder, in-built lap-timer, phone-battery strength display, last parked location assist, service reminder, trip meter and multi-ride statistic modes such as Street and Sport. 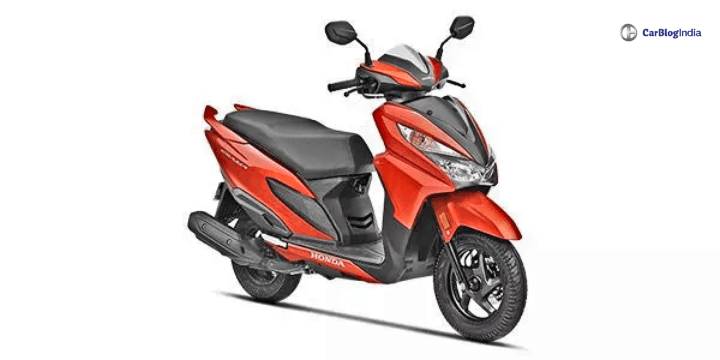 Other features on the scooter include a kill switch, LED tail lights, Roto Petal disc brakes, halogen headlamps and sporty graphics over the body. It gets disc brakes in the front as standard fitment. However, as we see the user reviews, most of the people have complained about the smaller seat length. The user reviews say that for the pillion rider, there is not much space left. Recently, TVS Ntorq also achieved a milestone sales figure of 1 lakh units in India. TVS launched it just 7 months back and it is already amongst the top-selling scooters in India.